I’m going to have to try this one again. 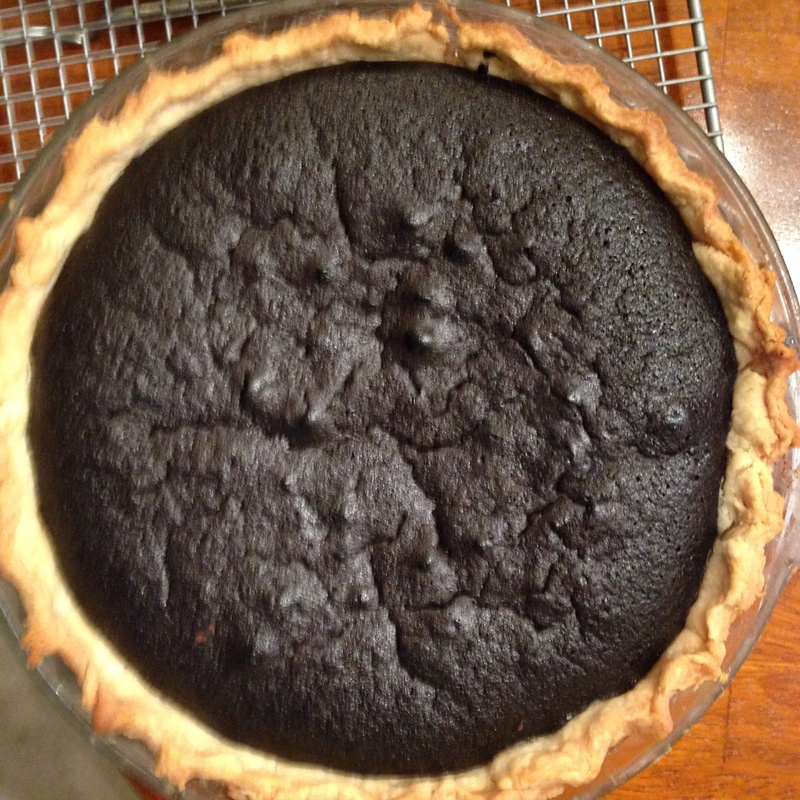 My family has an awesome recipe for chocolate pie, but I wanted to try a new one just to see if it could be better. It wasn’t. No one really ate it, and, although I ate a leftover slice the next day, I ended up baking the old recipe and throwing this one away. It was dry and kind of thick. Definitely brownie-like, but not pie-like. I didn’t sift the cocoa powder, and I didn’t use a stand mixer when I prepared the filling, so I will have to do that next time, which may make a difference in the consistency. I also think that I over-baked the pie, which may account for the dryness, so I will have to keep an eye on it at 30-35 minutes (I baked for 40 minutes and was preoccupied). So, I don’t know that this will be the first chocolate pie I make again (the other one is just so good). But I definitely have to see if this was the recipe or operator error. For now, I’m going to chalk it up to operator error. Preheat oven to 400 degrees. Roll out dough and place into 9″ pie plate. Trim overhang, using leftovers for more pie crust, decorations, or pie crust cookies. Crimp the edges. In a mixing bowl, combine sifted cocoa powder, brown sugar, granulated sugar, salt, eggs, and vanilla. Beat on low until ingredients combine together, then on medium until smooth and glossy. Pour batter into pie crust. Bake for 35-40 minutes until center is set. Remove from oven and place on wire rack. Let cool completely.